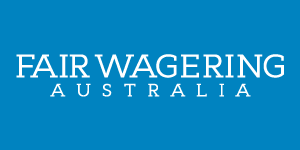 Fair Wagering Australia is about providing a forum for punters and other wagering industry participants to have a say in the way the industry operates. We are interested in the supply of factual and accurate information concerning sports and racing wagering and the general gambling landscape in Australia. We intend to publish the thoughtful opinions of punters, bookies, regulators and others in the industry to help share ideas and create and FAIRER playing field for ALL participants.